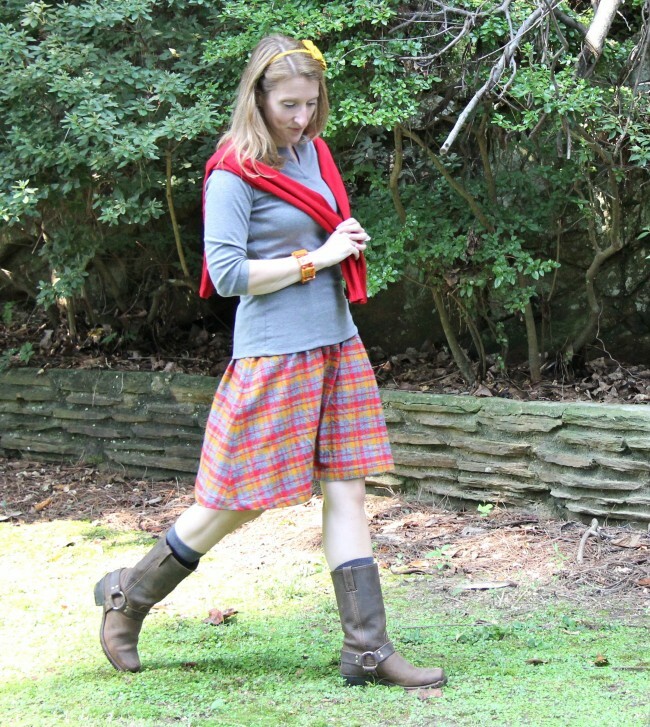 The Get Up & Go Skirt Pattern is HERE! 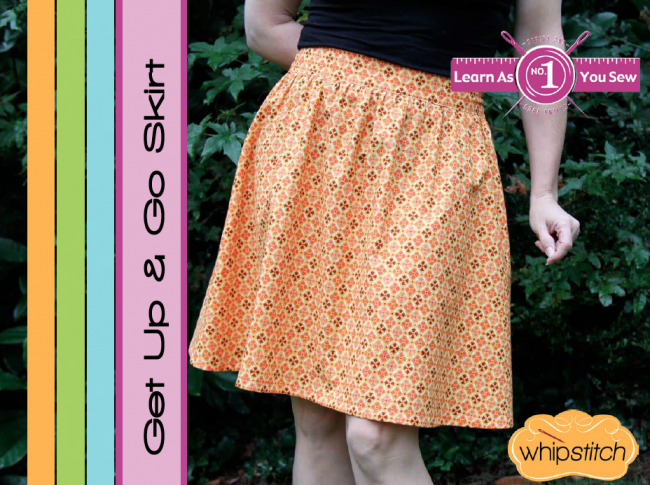 I am so excited today to introduce you to the very first Learn As You Sew pattern: the Get Up & Go Skirt! This is Series 1, Pattern 1 in the Learn As You Sew Pattern Series, and it’s a great place to start sewing garments–or to find a great, classic style no matter how much sewing experience you have! Learn As You Sew Series 1 focuses on FOUNDATIONAL SKILLS, so this pattern is designed to emphasize core sewing techniques like finishing seams, making straight hems, and working with waistbands. At the same time, it’s a really fun pattern that’s easy to style and easy to wear, so no matter how much clothing you’ve sewn in the past, it’ll make an awesome addition to your wardrobe! This skirt has my dream construction: a flat front waistband with an elastic back that’s SUPER comfortable. It’s also finished on the inside with a fun, clean technique that means that this unlined skirt has very few exposed seams, which keeps it soft and irritation-free on your skin. Since it has an elastic back, it also has NO closures to worry about–no zippers or buttonholes to install! That makes it super fast to sew up, and you’ll find yourself making way more versions than you might’ve guessed. 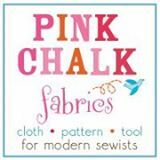 I have made this design up in so many great fabrics: lots and lots of quilting cottons, linen, chambray, flannel, seersucker, you name it! And I’ve got so many variations to share with you in the next couple of weeks. 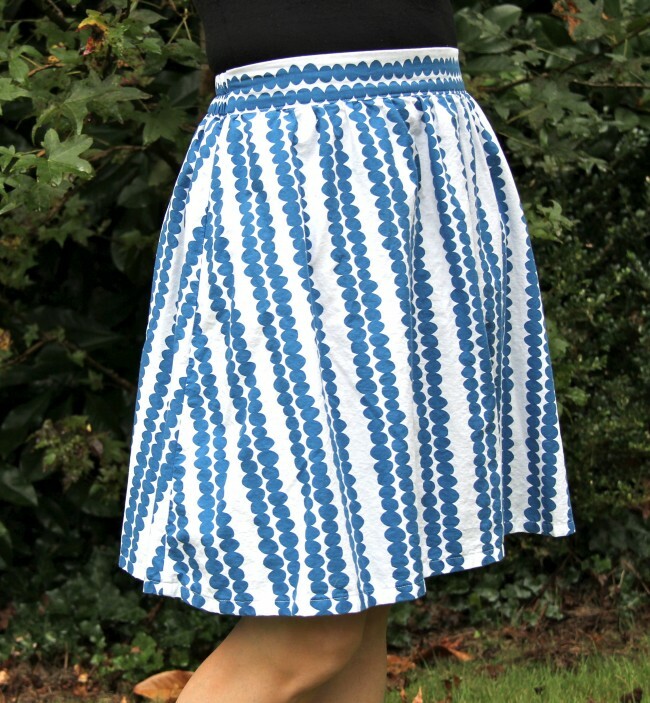 Besides being a super easy style to wear, this skirt is a great place to showcase fabrics you love or trims you’ve been hoarding. I busted out some treasured embroidered ribbon for this black number (which is just black Kona, but it looks so great!) and love, love, love swishing around and getting to enjoy it now. 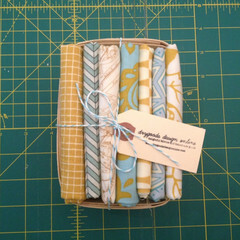 So much better than leaving your fabulous trims and treasures in a drawer! 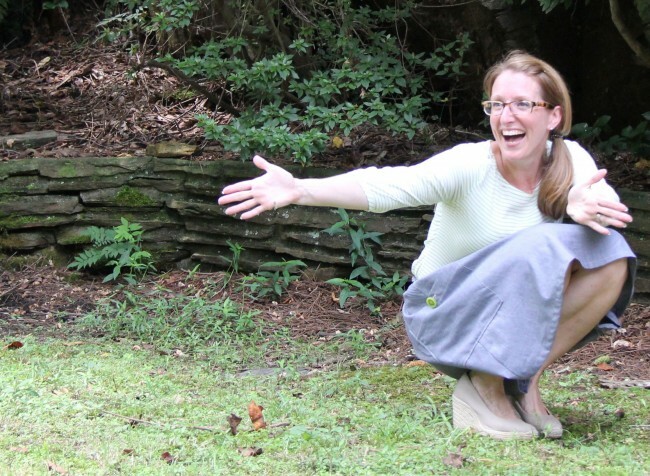 The Get Up & Go Skirt is also a great place to play with POCKETS! 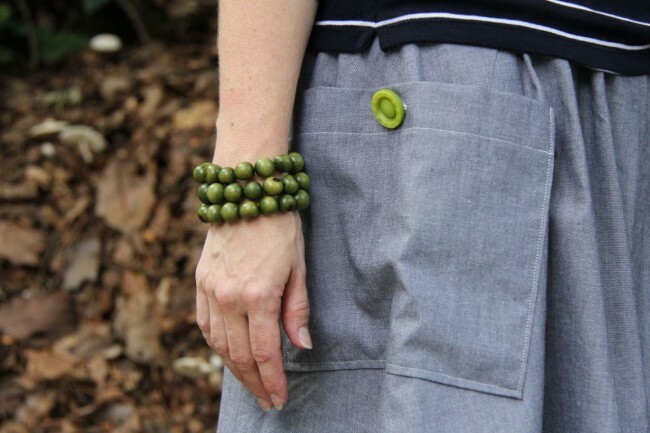 Because the skirt is largely a flat-front blank canvas, it’s easy to add pockets of all shapes and sizes (you can find instructions for seven really awesome ones in the Pockets E-Book). Perfect way to showcase your treasured buttons that are gathering dust! With over a dozen of this skirt in my own wardrobe (no exaggeration), I’ve also found it to be super easy to dress up or dress down. I have versions I’ve worn to nice dinners out with my husband’s business associates, and others that I’ve worn to the Farmer’s Market on Saturday morning when I didn’t bother to wash my hair. I’ve styled some with lots of accessories, and thrown on others over my swimsuit to head to the beach. It’s a truly seasonless design that lends itself to so many different looks! I really hope you’ll love this skirt as much as I do. I’ve worked hard to make the instructions as versatile and clear as possible–with options to work through the PDF as an e-course, as a pattern with video guidance, or as a quick-start pattern for those who are more experienced (learn more about the format of the pattern in this introductory video). 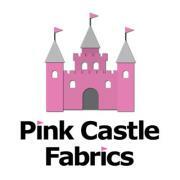 More than anything else, I want you to HAVE FUN sewing! This pattern is intended to be a big part of that, no matter HOW much sewing you’ve done or how many garments you’ve made. I want to lead you through the construction with joy and maybe some laughs, and have you come out the other end with a pattern that you’ll love to sew and to wear, again and again and again. The Get Up and Go Skirt is available NOW! 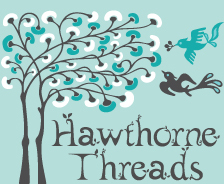 It comes in sizes XXS to XXL, and requires very little yardage to sew up. 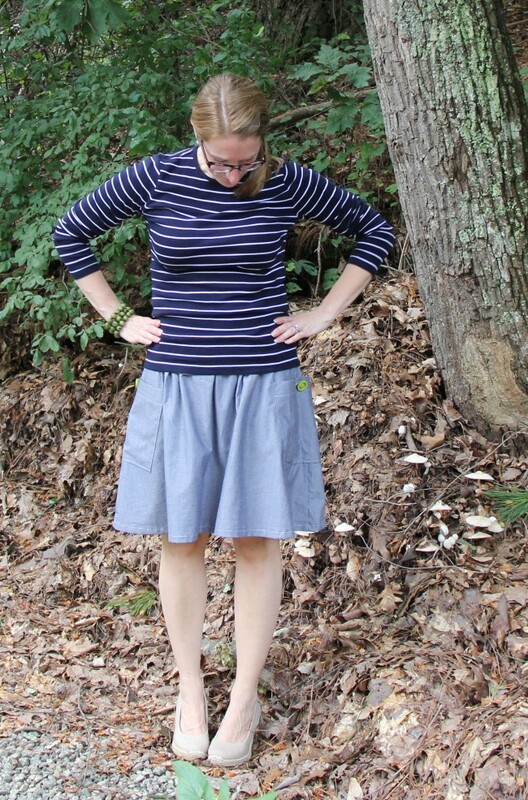 If you can sew in a straight line (more or less), you can make this skirt, and I really, really hope you do. 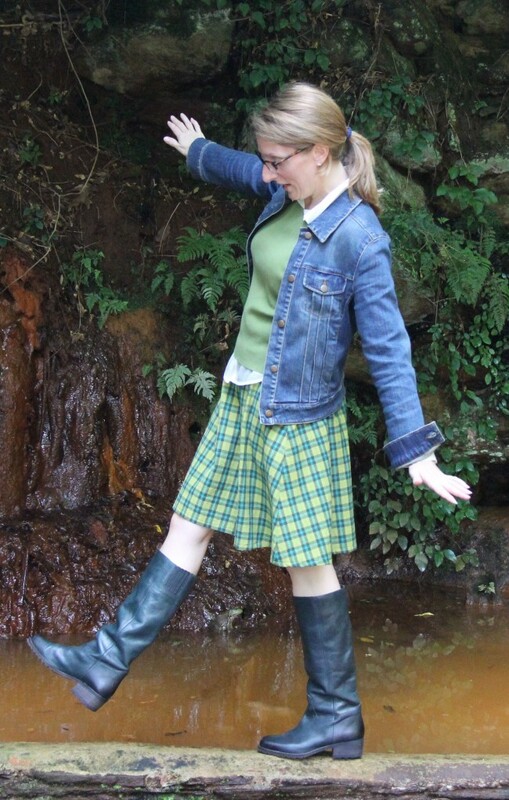 You can share you finished skirt on Facebook, Flickr or discuss it with other folks in the brand-new Get Up & Go Skirt forum! You can buy the pattern TODAY through my online shop, where you’ll also find all the videos for the pattern and a whole lot more. Hooray, hooray!! It’s Get Up and Go Day!! Special thanks to Nicole Stadler for taking many of these photos! 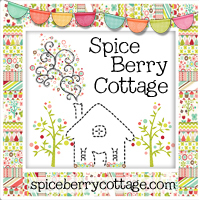 Join me at the next Atlanta Sewcial to meet Nicole and see examples of her long-arm quilting. Deborah, does access to the videos, etc. expire after a period of time? Hi, Samima! No, the videos are integrated into the pattern and will be available forever! You have unlimited access to view them as much and as often as you like! Have you tried a maxi version? Would it work well in a knit? I haven’t tried the maxi, but would think that if you slice the pattern at the mid-thigh point and lengthen, you’d be OK. There ought to be enough volume around the hemline to accommodate a maxi length and still walk easily. Sounds like it ought to be an experiment & blog post! I’m making one this week! I think you just called me pasty. Can’t wait to see your skirt(s)!!!! What is the sizing on the XXL? I’m a bigger gal and different XXL sizes mean different things. Thanks!! Hi, Kathie! The XXL body measurements are 40″ (waist) and 50″ (hip). The finished garment measurements on the skirt are 40″ (at the elastic waist, unstretched) and 66″ at the hip. Hope that helps! Oooh! 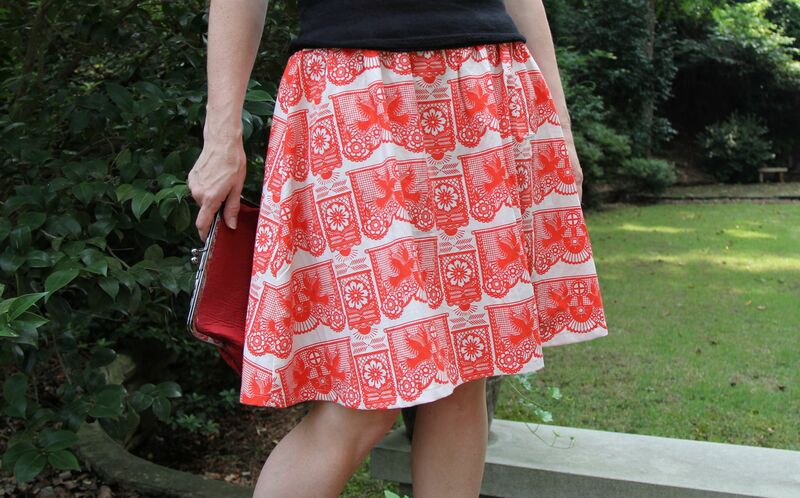 I love the black skirt with the red trim at the hem. This looks like an incredibly practical design. Isn’t that funny? It’s the simplest Kona black you’ve ever seen, but somehow in this pattern, it came out looking really hip (and slightly German?). I loooove that version–I’m so glad you do, too! I love how simple and comfortable this looks. It is so, so easy to wear–one of my friends called it the perfect Momiform! Makes me look like I’ve made a little effort, but I feel like I’m wearing jammies. Everyone wins! Thank you so much! I really, really love it–wear them all the time! I liked all the skirts you showed here. They are beautiful. Thanks for sharing.